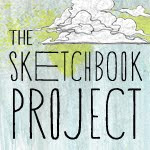 This idea has been brewing in my head for awhile now and today I found time to execute a rough draft. I'm pleased with the results. In an effort to try and use up a lot of my stash, I've been trying to come up with ideas that would use large chunks of fabric with not a lot of difficulty involved. Just sew and go. 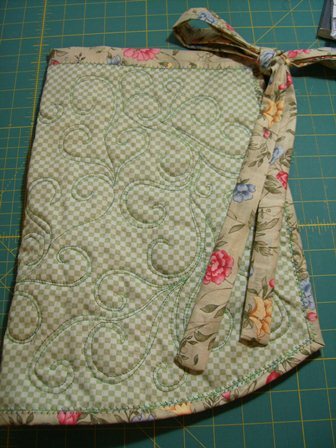 I have been making aprons recently and I thought "what about a quilted apron"? So, today I sat down and tried it out. I grabbed the first two pieces of fabric scraps that were already on the table and this is what I came up with. 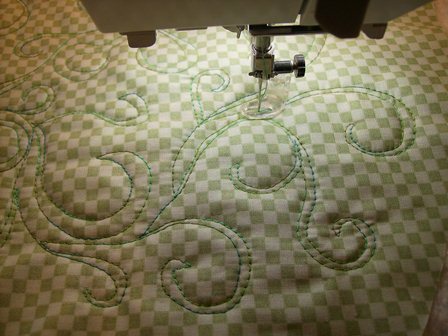 This was already loaded on the longarm, so I resorted to the Bernina . . .
and did some free motion quilting. And this is how it turned out. For a first try, I'm loving it. 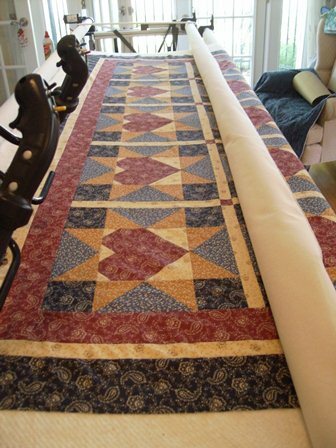 It is gorgeous and your quilting is lovely! 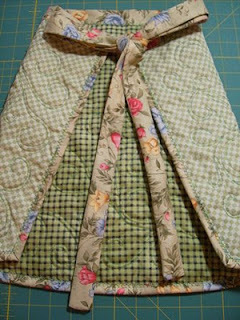 What a beautiful apron. The quilting is so pretty, and I love the colors!